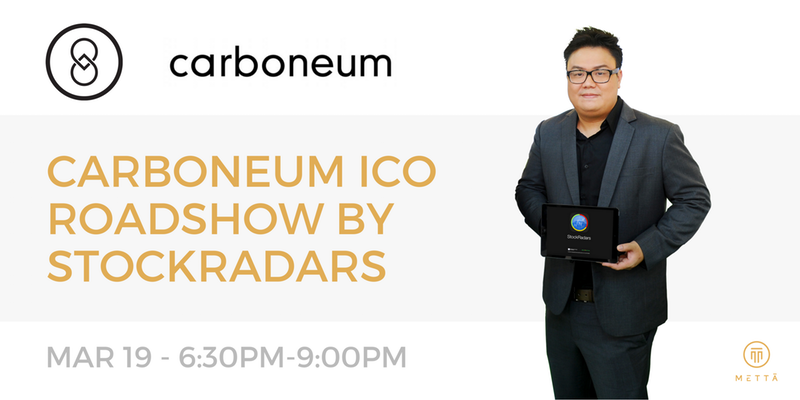 Thailand’s No.1 online stock trading & analytical platform StockRadars is building a democratized social trading platform for digital assets and cryptocurrencies called Carboneum. The platform comes with a revolutionary fee structure that aims to democratize trading activities like never before. Don't miss out on the opportunity to Meet Max, CEO of StockRadars, and other Blockchain aficionados eager to share some valuable insights on FinTech, Blockchain and cryptocurrency.